Lady Audley's Secret Giveaway (A Victorian Celebration). I feel like I am way behind most of you! I am still trucking through Middlemarch and Nicholas Nickleby. I thought I would have been done with both of them by now, but no. :) Both books are wonderful-I've just had a bit less reading time than I would have liked. "Lady Audley's Secret (1862) was one of the most widely read novels in the Victorian period. It exemplifies "sensation fiction" in featuring a beautiful criminal heroine, an amateur detective, blackmail, arson, violence, and plenty of suspenseful action. To its contemporary readers, it also offered the thrill of uncovering blackmail and criminal violence within the homes of the upper class. The novel makes trenchant critiques of Victorian gender roles and social stereotypes, and it creates significant sympathy for the heroine, despite her criminal acts, as she suffers from the injustices of the "marriage market" and rebels against them." This giveaway will be open to any residents of the U.S. or Canada (my international participants, I have special giveaways planned for you later on). To enter, comment on this post and answer the following question: What post from the Master Post have you most enjoyed reading so far in the celebration? Why? The giveaway will be open until 11:59 PM on Friday, July 6, 2012 EST. Reading Plans and My Nightstand Pile: June 27, 2012. 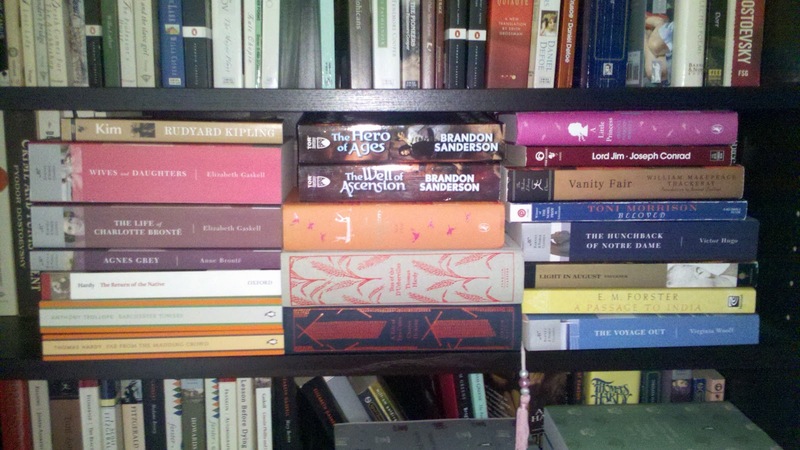 Every month or two, I stand in front of my bookshelves and pull out a pile of books to be added to my nightstand. This books are the ones that I would ideally like to get to in the near future. As I finish titles, I grab from the pile rather than my shelves. I find that when I'm just staring at my shelves, I get overwhelmed with choices. This way, I have a smaller collection of books to choose from. This morning I decided to pull a new pile, since I hadn't created a nightstand pile for the Victorian Event and the rest of the summer. I decided to give myself until September 1 to read from the pile before creating a new one. Now, it is pretty likely I won't read all of these by then, or I may read books that aren't here, but these are the books I've been eying recently (you'll see quite a few Victorians!). (I will apologize in advance that some of the titles are blurred out. This shelf is next to a window and I had a hard time getting the titles to be not blown out. This was the best pic of the 5 I took). Kim by Rudyard Kipling: I started this one last year and never finished it. The Life of Charlotte Bronte by Elizabeth Gaskell: I've read the first 30 pages or so, but I just need to dive in. 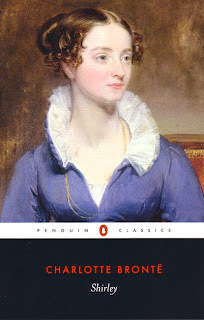 Agnes Grey by Anne Bronte: I haven't read anything by Anne, and this is the one I have on my bookshelf. It's short, so I should be able to fly through it. Return of the Native by Thomas Hardy: I will definitely be getting to this one soon! 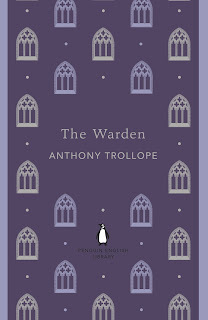 Barchester Towers by Anthony Trollope: I read The Warden just so I could read this one soon. Far from the Madding Crowd by Thomas Hardy: Another Hardy title...I love this new Penguin edition. The Hero of Ages and The Well of Ascension by Brandon Sanderson: Both of these are for group reads, so I know I'll finish them. The Adventures of Huckleberry Finn by Mark Twain: LOVE TWAIN! I'll probably save this one for August. Tess of D'Urbervilles by Thomas Hardy: I might not get to this one, and that's okay. I might "save" it for the end of my project. Tale of Two Cities by Charles Dickens: Just like above, I might "save" this one for near the end of my 250 list. A Little Princess by Frances Hodgson Burnett: I've never read this one and just got my copy so...yeah. Definitely going to read this one! Lord Jim by Joseph Conrad: Another one I started and never finished. I'll probably read this one in August as well. Vanity Fair by William Makepeace Thackeray: Yet another title I started but never finished. I really want to get to this one for the Victorian event, but not sure I'll have time. Beloved by Toni Morrison: I'm still discovering Morrison, so I know I need to read this one soon. Light in August by William Faulkner: I meant to read this one LAST summer, so I am making it a point to get to it this year. I've also been craving some zany Faulkner! A Passage to India by E.M. Forster: I started this one in May, so I need to finish! The Voyage Out by Virginia Woolf: Another one I started in May and need to finish! I'm also currently in the middle of Middlemarch and Nicholas Nickleby, so we can add those to the pile as well. Oh, and I am participating in Andrew Smith Saturdays (even though I haven't commented yet....oops), so those titles, Stick and Ghost Medicine are also going to be read. I have Thursday and Friday off this week, so besides doing laundry and a few other domestic type things, I am planning on diving into some great books! I'm hoping to finish both of my current Victorian reads, as well as one other title...probably a Hardy. Feel free to join in on my reading spree if you are able! 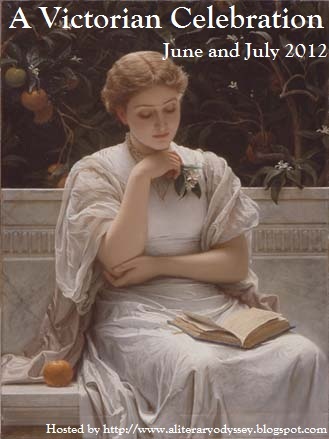 What are your reading plans for the rest of the summer? To all Victorian Celebration participants! You can enter by clicking this link. Good luck, and keep on reading those lovely Victorian novels! There will most definitely be spoilers below, but I plan on putting up a spoiler-free review in the near future. While I didn't enjoy the revelation of what Denth and crew were up to in the last section we read, I rather enjoyed the twists and turns that the final chapters brought. I was particularly struck by the choices Lightsong made in the end, especially as he acknowledged who and what he was (more on that below). I was also struck by Blushweaver and her true intention for maintaining control of the Lifeless. It was certainly interesting. 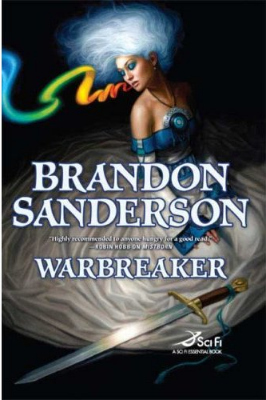 To be honest, I really didn't think that Vasher would be Warbreaker. I kind of hoped that one of the female leads-Vivenna or Siri-would gain that role. But, I'm okay with Vasher and his turn around...it was a bit of redemption, you know? I also enjoyed learning a bit more about the priests and what they were really fighting for. I think I said in an earlier post that they were up to something other than what they portrayed. I also knew that there was a reason the God King was kept in the dark, so I'm glad all those questions were answered in this final section. I had to go back to read what I wrote, but I don't think my true opinions have really changed. Lightsong was right to question his divinity. For me, when I think of gods (modern and ancient and everything in between) I like to think that they are free from fault and questions about their own purpose. The Returned showed too much uncertainty in their decisions about going to war to be that kind of...exalted presence I expect of my own God...know what I mean? But Lightsong really had an impact on me in the ending chapters. Once he realizes what he is and who he once was, he seems to lose faith. It is only when he is given the choice to wallow in pity, or save the God King and sacrifice himself that I think he realizes the true nature of his own divinity. I think he realized that he had a choice in who he wanted to be in this second life. And while he already gave his life once, he could do it again for a real and significant purpose. I was just...struck by that. And happy that Lightsong made that choice. It was honorable, you know? Anyway, I do think that the Returned have the capability of being divine, but not all of them are truly gods, in that they sacrifice themselves wholly for the people who worship them. I mean, really, did they listen to the people of the city and their struggles while they were quarreling about war? I don't think so. It's an interesting relationship, isn't it? Vasher said he kept the sword to keep it away from others, but I like to think that he kept it for his own sake. Since Vasher is more than what he appears, he needed someone to talk to and the sword fit that. It understood who Vasher really was and had the ability to protect Vasher when Vasher needed it most. The only other Sanderson I've read is Mistborn, which I absolutely loved, so I have little of Sanderson's work to compare this to. I will say that I enjoyed it. It was a fun story and while some of the little twists didn't quite fit for me with the storyline, I will say that I think Sanderson is a gifted writer. I'm definitely going to look into more of his books (after I finish the Mistborn readalong). This title was definitely a decent fantasy novel. Like I said, there were little things that irked me. I think a large part of it was how the novel was originally written (serially on his website). That kind of writing, while thrilling for fans, doesn't allow for the writer to really revise and make significant changes. I think there were pieces that needed more clarification, etc. But overall, good fantasy novel that is an entertaining and fast read! Thanks for the great group read! I've been a little all over the place this week and haven't really had a chance to focus on reading or blogging. Matt and I went out of town on my two days off this past week, so I really haven't had a chance to enjoy my summer and days off. I've also been working at the park every day...so yeah, super busy still! I don't have any days off until Thursday or Friday, but I am planning on spending those two days catching up on everything-reading, cleaning, and checking in on blogs. If I haven't visited you in awhile, I will then-PROMISE. Anyway, I have a lot going on tomorrow, so I need to cut this short to get a good night's sleep. I hope everything is going well! I try to avoid snacking while reading...it generally leads to too much snacking. :) However, I like a small bowl of popcorn every once in awhile! It used to be diet coke, but since I am cutting back (and trying to quit) on drinking pop, I've been turning more and more to tea and flavored water. I have a new addiction to Mio, so I've taken to always flavoring my water. I used to write in my books far more than I do now. Most of the books I read while in college have writing in them somewhere. Nowadays I use little post-it tags to mark passages and pages I want to come back to, or that have quotes I like (any quote that I use in a post here comes from those that I mark). I have nothing against writing in books, but if I buy a used book, I always check for writing. Other peoples' highlighting, etc bothers me. I've also been keeping a separate journal just for thoughts on my reading. I like having everything in one place so I can flip through it. I am huge fan of bookmarks. :) I own something like 80-90 of them, and I am constantly looking for more. I used to dog-ear pages before, but don't anymore. I'm also one of those people who tries not to break the spine of my paperbacks to make them last longer. Since I purchase pretty much everything I read, I want my books to stay in good condition. Sometimes a little abuse can't be helped, but I don't purposefully do things to hurt my book! It drives my friend Kyla crazy. She is really one of the only people I trust to lend books to, and she says she always feel pressured to keep my books perfect. :) It makes me chuckle. I know that I'm just crazy, but I figure if I am investing in building myself a library, I want my books to last until I'm 80 and want to revisit an old favorite. I prefer to stop at a chapter break, but sometimes I just get too tired to finish. :) Some books have really long chapters, so sometimes I just can't get through to the end. But really, I can stop anywhere (I do try to finish a "scene" before stopping in the middle of a chapter). I've done both. :) I threw Atlas Shrugged at the wall quite a few times, as well as tossing it on the floor for my cat to sleep on. It is a rare occasion for me to throw a book, so you know something was up if I did! I've been focusing on Middlemarch since starting it last Sunday. I've also poked back into Nicholas Nickleby a little bit (I think I have to just finish it this coming week and be done with it). Not sure what I'm going to pick up next! I've actually bought quite a few in recent weeks. I discovered the new Penguin English Library series and bought quite a few....like....16 or 17? They've slowly been trickling in...which is driving Matt crazy, but it had been quite some time since I'd bought a bunch of books, so I don't feel bad. ;) I'll show them off once they all get here. It depends on what kind of mood that I'm in. There is something pretty amazing about sinking into a big long series. It allows you to get to know the characters so well! But I also love a good stand-alone. Most classics ARE stand-alones, so I have been getting a good mix between those and some fantasy titles. The shelves that I do have are alphabetized. The only exceptions are books that are too tall to fit on the normal shelf, books belonging to a collection or set, and my Shakespeare titles. I prefer to have books in a set all together (all my Penguin clothbounds are together-they look way sweeter that way). I will also pull books out every month or so to put on my nightstand. The nightstand pile is what I hope to get through in that month. Sometimes books stay there for a month or two before being read...some stay longer...and some books never make it there! But generally speaking, once it is on the nightstand, I make it a priority. I also have books all over the apartment-some on my desk, there is a pile on an end table in the living room, and a couple in my bag that I've been lugging to the park. :) I call it controlled chaos. -I keep a written record of books read each month. They are all in a spiraled journal and I've had it since the beginning of 2008. -I have a big printed out list of the titles on my 250 list taped to the back of our "office" door. I highlight each title as I finish it. I'm a big fan of crossing things off, so it helps me visualize my progress! The winner of Daniel Deronda is Michelle from The True Book Addict! The winner of Shirley is Adam from Roof Beam Reader! Congratulations winners! I will be e-mailing you to get mailing information. Remember that there is a giveaway each week. This week's giveaway is for a copy of The Mayor of Casterbridge by Thomas Hardy. You can enter to win at this post. A Victorian Celebration: The Mayor of Casterbridge Giveaway! I asked Twitter on Sunday whether I should read Middlemarch or Far From the Madding Crowd next, and those who weighed in steered me toward the Eliot title. And while I am perfectly happy with that choice (because I love Eliot so much), I'm still craving some Hardy. When I made my project list...I had never heard of Hardy. I don't know if that speaks to the level of my college education or my own ignorance, but he was never on a reading list and he was never brought up in one of my classes! But, I was curious so I added a slew of his titles to the 250 list, and the very first Hardy title I read was The Mayor of Casterbridge. It blew me away and made me a Hardy fan for life. "In a fit of drunken anger, Michael Henchard sells his wife and baby daughter for five guineas at a country fair. Over the course of the following years, he manages to establish himself as a respected and prosperous pillar of the community of Casterbridge, but behind his success there always lurk the shameful secret of his past and a personality prone to self-destructive pride and temper. Subtitled ‘A Story of a Man of Character’, Hardy’s powerful and sympathetic study of the heroic but deeply flawed Henchard is also an intensely dramatic work, tragically played out against the vivid backdrop of a close-knit Dorsetshire town." The giveaway will be open until 11:59 PM on Friday, June 29, 2012 EST. Good luck and keep up the great job reading! Author Focus: William Wilkie Collins (A Victorian Celebration). This week's Author Focus in on a Victorian writer I don't have a lot of experience with. In fact, he is one of 2 writers I added to my project list after I had been working on it for a few months. 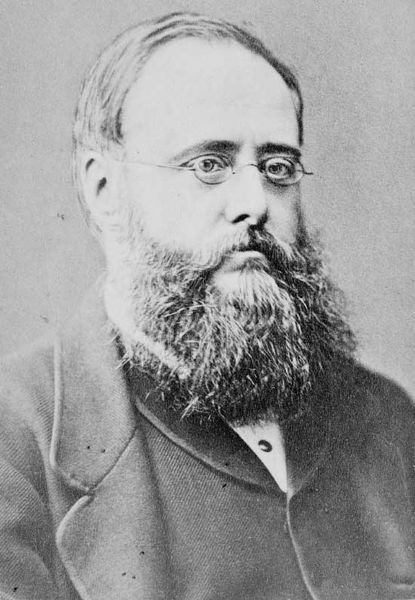 I had never even heard of Wilkie Collins until I started blogging. In any case, I added two of his works to my project list and have read one to date (The Woman in White). The second, The Moonstone, is on my pile to read for the celebration. I'm hoping I get to it! From my reading of The Woman in White, I've found that I really enjoy Collins' writing style, so that is why I'm going to push you to give him a try. William Wilkie Collins was born in 1824 in London, England. As a boy, he traveled with his family to France and Italy, which has a huge impact on him. In 1844, he wrote his first novel, Iolani, which was never published in his lifetime. He eventually went to school to study law in honor of his father's wishes, but when his father died in 1847, he began writing on a more regular basis. 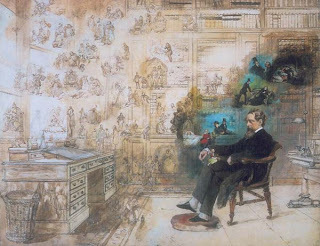 In 1851, Collins met Charles Dickens, who became a lifelong friend and mentor. 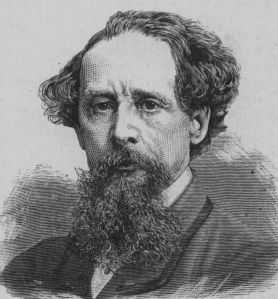 I can't imagine what kind of impact Dickens had on him-Collins was a young, fledgling writer and Dickens was a force to be reckoned with. I am sure that their friendship was something to see! They collaborated on a number of things and Dickens supported Collins' writing by helping it get published in Household Words and All the Year Round-Dickens' journals and magazines. The two also traveled Europe together in the 1850s. Collins' first story, "A Terribly Strange Bed," was published in Household Words in April 1852 and it was the first of many. He also had stories published in The Leader which was run by George Lewes. Lewes might seem like a familiar name if you read last week's Author Focus, since he was George Eliot's "husband" for a number of years. Isn't that an interesting connection? Something I have found by researching these writers is how interconnected they all were. Makes me wonder what writers weren't in their "clique" and didn't get published because of it! Keeping up with the scandalous lifestyle as done by Eliot, Collins moved in with Caroline Graves and lived with her as man and wife. The two didn't marry, but carried amidst a lot of scandal (I think the Victorians were quite fond of scandal, don't you?). During this time period (late 1850s into the 1860s), Collins published a whole slew of titles and was gaining more attention from the public. And, keeping up with scandal, Collins met another woman, Martha Rudd, in 1867 and decided to settle down with her as well! He led a double life-living with Graves while in London, and Rudd in the countryside near London. He even used a different name when he was with Rudd to avoid being found out...but eventually Caroline discovered his affair, left him, and returned two years later. Collins lived the rest of his life taking turns between his two ladies o_O. Later on in his life, he suffered from gout and used a lot of opium to deal with the pain. He also struggled to maintain his success after the death of Charles Dickens in 1870. Many feel that once he lost his best friend and mentor, his novels lost their passion, which is why many of his later novels aren't as acclaimed as his earlier titles. Many of his novels were deemed "sensation" novels that were meant only for entertainment and shock. They were also the precursors to later detective novels, like Sherlock Holmes by Sir Arthur Conan Doyle. Another notable aspect of his novels is the focus on his female characters and their plights in Victorian society-something I definitely noticed in my read of The Woman in White. Collins died in 1889 at the age of 82. He has left behind a great legacy and certainly was a large part of the surge in literature during the Victorian event. He is definitely a writer I need more exposure to and I can't wait for the opportunity to explore more of his work. There is no giveaway with today's Author Focus, but I will be giving away one of Collins' novels later on in the celebration-so keep an eye out! Random Post Giveaway Winner! 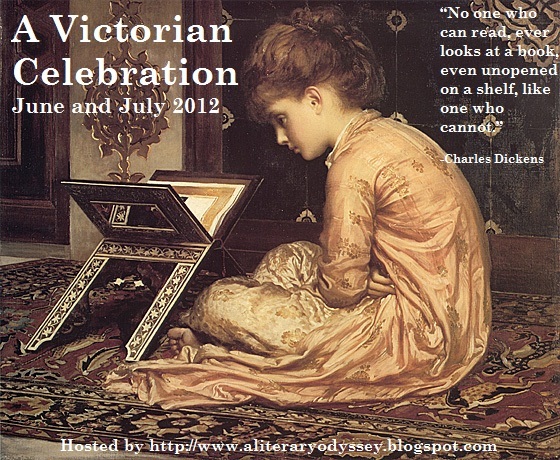 (A Victorian Celebration). I decided to take a gander at the number of crazy posts you guys have made on the Master Post. Wow! You guys have been reading a TON! In celebration of all the reading you've been doing, I pulled a random number and that person (as soon as they see this post) gets to e-mail me their choice of a Victorian Classic to be sent to them from the Book Depository. Congratulations to number...43! Bex from An Armchair By the Sea for her review of Anne Bronte's The Tenant of Wildfell Hall. Keep up the great reading everyone! I've been avoiding getting back into Nicholas Nickleby, so I started a new chunkster for the Victorian Celebration instead. 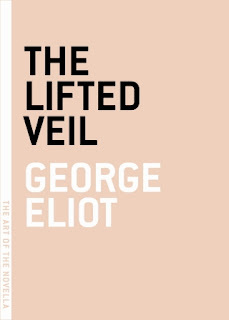 I've been craving some Eliot since finishing The Lifted Veil last week, and Middlemarch was calling to me off the shelf. After staring at it, Nicholas Nickleby, and Far From the Madding Crowd, the pink cover won out and I started it Sunday morning. Needless to say, I am flying steadily through Eliot's chunkster. It has been years since I've read it, so bits of the story are "new" to me on this read. I forgot how Eliot begins the narrative in one place, introducing the reader to a character or two...then meanders to someone we met briefly, then to another, and another. It works in some odd way. And while the characters we met in chapter one disappear for 100 pages, I still remembered exactly what they were up to when the disappeared from view for a bit. I also love the comfort of Eliot's writing as she discusses the "Miss Brookes" and their problems. She has such a warm tone to the way she describes their interactions that it brings a smile to my face as I read. I love Celia's snarky comments, and Dorothea's determination that she knows what is best. I also love the meddling neighbors, the concern over who will wed who, and the silly politics of a sleepy country town. It makes me smile and keeps me turning the pages. And while I know I've read this before, I am still anxious for the characters and wondering what will happen to them by the end of 880 page edition of the book I have. That is the mark of a great writer-that I can still wonder at their intent. That I can still question what a character will say or do when I turn the page. The whole thing just feels comforting and warm-just what I need right now. It has been awhile since I've done a Top Ten Tuesday post, but I couldn't pass up the chance to talk about some of the titles I'm going to be reading this summer. I have been counting down to having more reading time, so hopefully all ten of these titles are read in the summer months! Far From the Madding Crowd by Thomas Hardy: I have been craving some Hardy something fierce, which makes sense, since I've read a Hardy novel both summers that I've been working towards completing my 250 list. 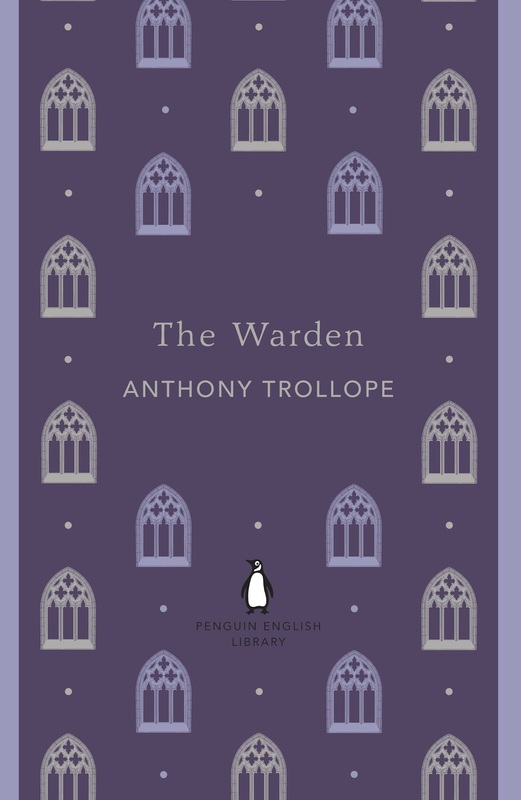 Barchester Towers by Anthony Trollope: Now that I have the much smaller The Warden under my belt and a firm grasp on Trollope's trollping style, I'm anxious to get to the title that was included on my original 250 list! I'm excited to see what's next in this little series, and to get to know another Victorian a little better. Agnes Grey by Anne Bronte: My first Bronte was Wuthering Heights, which I read only 2 years ago! I haven't had a chance to read Anne, and there has been lots of talk about how awesome she is from Adam and Jillian, so even though this isn't on the 250 list, it IS on my Classics Club list and I'm going to read it soon! The Life of Charlotte Bronte by Elizabeth Gaskell: This one has been sitting on my nightstand for a couple of weeks, so I am sure it'll be opened as soon as the mood strikes. I'm very curious about the lives of all the Bronte sisters, so this is a great introduction I think! Wives and Daughters by Elizabeth Gaskell: This is the last Gaskell title on my 250 list, so I kind of want to get to it to cross off Gaskell's works. :) I'm also really curious about it since it's unfinished! A Passage to India by E.M. Forster: I set this one aside once the Victorian event started, but I want to get back to it. It is a curious little book, and while I had a hard time focusing on it, I think I need to get back to it and restart. I loved Forster's A Room with a View, so I'm hoping this one is just as amazing. The Voyage Out by Virginia Woolf: Another title I set aside, I got 50 pages into this one before school insanity took over. I've heard this one isn't as...complex as some of her other novels, so I'm curious to see the difference between this and her later work. 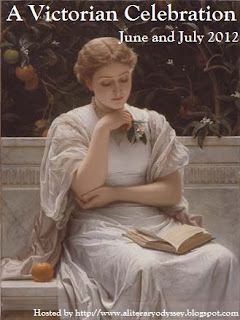 Light in August by William Faulkner: I have been craving some Faulkner something fierce, so this is a definite for August (see what I did there?). I haven't read this one in a couple of years, but I'm looking forward to a revisit with one of my favorite writers. I also blame Melissa for her review of As I Lay Dying for sparking my craving. The Hunchback of Notre Dame by Victor Hugo: This is another title that will fulfill a challenge, but since Adam reviewed it, well...I keep eying it on my shelf. Vanity Fair by William Makepeace Thackeray: While I would really like to get to this one during the Victorian event, I can only read so fast. :) But I'm hoping I get to this one in time for the event (and yep, it fulfills some challenges). I should warn you that there will be definite spoilers if you haven't read the book, and it might be better if you just go and read the book (totally worth it!). I was quite surprised by the beginning of this section and the twist concerning Denth and the others. In some ways, I feel a bit cheated. I hate twists of that nature in books that I am reading. I feel like authors use that to be like "Look how I tricked you! Hahaha!" When really all it does it pull me away from the story-it puts more focus on the author than the story. End of rant. Anyway, I was surprised to see that the mercenaries weren't what I was expecting...which means that nothing we've encountered so far has been honest. Now, I'm not sure what to believe about Denth (and Vasher and everyone else) as the story moves forward. I think this connects with what I was getting at in the first question. Since Sanderson tossed everything around with the switcheroo concerning Denth and the others, you can't take anything we've read at face value. Sanderson has already shown us that things are not what they seem, and while it appears that Tredelees and the other priests are slimy little buggers, that might not be the case. Has it occurred to anyone else that Siri hasn't outright asked someone what is going on? She's talked around it, implied threats, and used her power as Vessel, but there hasn't been an honest conversation. I really think Sanderson is just trying to mess with our heads and we're in for another twist related to the priests. Given the fact that he released the book serially on his website, I'm convinced we have more twists on the way. (On that same note, I think we're going to see a lot from Lightsong as we near the end in this same regard-he won't be who we expect him to be either). From what I know of fantasy novels, if you have a standalone, the war better be early on. I doubt there will be a full-blown war at any point in the book. There just aren't enough pages left! I foresee a lot of political maneuvering ahead of all the characters! This has been an incredibly difficult week. I have been going through a roller coaster of emotions as we finished school, said goodbye to our retirees, and dealt with the grief of losing a beloved teacher. I don't know if I can put into words how hard it was this week. Monday was hard-the shock of knowing he passed away, telling the kids, and watching grief erupt all over the school-I don't think I have fully processed it. But Tuesday was even harder. That morning as the kids started to come into the hallways, we all noticed that the majority of them had flannel on in honor of the teacher who passed. It was so incredibly touching. I walked into my first hour to see them all in flannel and one student in tears. I immediately choked up and had to talk out for a minute. It was only after our principal came on the PA and held a moment of silence for him that I could go back in the room. From that point forward, the week was about coping as best as we could. I comforted students as they needed comfort, and they comforted me. In many ways, the tragedy brought students and staff together. We mourned together and the tributes throughout the week kept many of us going. Students turned to his classroom door for inspiration and hope (he posted many inspirational quotes outside his classroom door. I saw many students this week stopping to read or touch his name in memory). Thursday was also incredibly hard. In addition to funeral services and viewings, we also had our retirement luncheon for those leaving us this year-including the teacher I have been replacing since March. There were a lot of moving tributes to both of them. Both teachers that retired this year have been in the building for many years. Seeing where they used to be, hearing the stories of what they accomplished as teachers in the building...it was incredible to see. I also loved the student tributes to both of them. Hearing the stories of how these teachers changed their lives...it had a huge impact on me. I've heard so many stories this week from students about teachers have changed their lives...it was inspirational...and motivational for me. Sometimes I am hard on myself about who I am and where I am in my life. I struggle to come to terms with what my dreams where and what is a reality. This week though? It has shown me that while I cannot control what life brings my way, I can control what I do about it. I think this little blog, this piece of the internet is a testament to that. I have found a way to "teach" without a formal classroom, and no matter what happens in the future, I am grateful for this opportunity. Instead of rolling over and giving in to destructive thoughts, I decided to educate myself. I have pushed myself to continue learning so that when I am given an opportunity to teach in my own classroom, I feel more confident. And this week, while hard and painful, has shown me all of that. Saying goodbye to my students on their exam days was about more than ending a school year. It was also about them moving on to the next stage in their lives, dealing with the sadness of the last week, and the hope that maybe I'll see them again in the future. Yes, this has been an emotional week. And while it was sad to say goodbye on Friday, I know that I have great things ahead of me that I am ready to conquer. Thank you again for all your well wishes this week and e-mails of support. They have helped me get through this week, as well as giving me the confidence to help my students. I have to tell you guys, you are making me feel like I'm not reading fast enough. There are so many wonderful posts on the Master post! Keep up the great work! It's time for the weekly giveaway (have you caught on that there is at least one giveaway a week? Because there is!). This week's giveaway is for a book I haven't had a chance to read yet, but will sometime in the future. 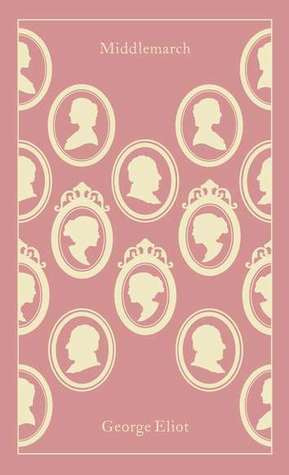 Shirley by Charlotte Bronte, is one of those books I know I'll be reading sooner, rather than later. I've loved the other titles by Charlotte that I've read, and I'm hoping someone will love this one too! "Following the tremendous popular success of Jane Eyre, which earned her lifelong notoriety as a moral revolutionary, Charlotte Brontë vowed to write a sweeping social chronicle that focused on "something real and unromantic as Monday morning." Set in the industrializing England of the Napoleonic wars and Luddite revolts of 1811-12, Shirley (1849) is the story of two contrasting heroines. One is the shy Caroline Helstone, who is trapped in the oppressive atmosphere of a Yorkshire rectory and whose bare life symbolizes the plight of single women in the nineteenth century. The other is the vivacious Shirley Keeldar, who inherits a local estate and whose wealth liberates her from convention. A work that combines social commentary with the more private preoccupations of Jane Eyre, Shirley demonstrates the full range of Brontë's literary talent. "Shirley is a revolutionary novel," wrote Brontë biographer Lyndall Gordon. "Shirley follows Jane Eyre as a new exemplar but so much a forerunner of the feminist of the later twentieth century that it is hard to believe in her actual existence in 1811-12. She is a theoretic possibility: what a woman might be if she combined independence and means of her own with intellect. Charlotte Brontë imagined a new form of power, equal to that of men, in a confident young woman [whose] extraordinary freedom has accustomed her to think for herself....Shirley [is] Brontë's most feminist novel."" I can't wait to get to this one too! Up for grabs is a new Penguin Classics edition of Charlotte Bronte's Shirley. To enter, read the rules and comment below! To enter, comment on this post and answer the following question: What is your favorite flavor of ice cream? The giveaway will be open until 11:59 PM on Friday, June 22, 2012 EST. Author Focus: George Eliot and Giveaway (A Victorian Celebration). Some of these "Author Focus" posts will also have a corresponding giveaway, so be on the lookout for those opportunities as well. Today's Author Focus is on a personal favorite of mine-George Eliot. Before I get into some of the details and interesting tidbits of Eliot's life, I need to tell you why I feel such a strong connection to Eliot and her novels. A few years ago, my grandmother became very sick (she had cancer). Since I was done with college and living at home, I would sometimes take her to her weekly doctor appointments. In the car, we would talk about anything and everything we could think of. She was also a huge reader, so books often came up. She mentioned one day that she wanted something different to read, so I was trying to rack my brain to think of a suggestion. This was the same summer that I decided to make reading more classics a necessity (I think my rule was for every 3 "fun" books, I had to read a classic). Eliot was one of the first classics writers I discovered on my own, and having just finished Silas Marner, I suggested it to her. I ended up lending her my own copy. She ended up loving it, and I gave her the rest of the Eliot novels I owned (Including The Mill on the Floss, which I hadn't read yet). She loved them all! Later that fall, she passed away. 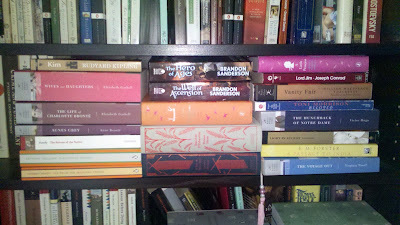 And now, whenever I look at my bookshelves and see my Eliot novels, I think of her. So Eliot will always be a favorite of mine. She reminds me of the wonderful woman my grandmother was and those weekly trips in the car. I have been slowly discovering Eliot on my own since that time. I've made it through most of her longer works and just finished a shorter work earlier this week (The Lifted Veil). She is a write I admire, so I'm gong to give you just a little more information about her. 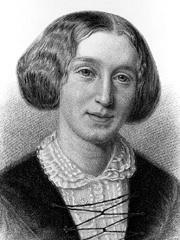 George Eliot's real name was Mary Anne Evans (she also went by Marian). She was born in 1818 and lived to 1880. She was a firecracker of a woman and seemed content with living her life on her own terms. She chose to write under a pen name for a number of reasons. First, she didn't want her work to be judged based on the fact that she was female. Many of her contemporary female writers focused on romance and she felt her novels were more than that. Evans wanted to be taken seriously as a writer, so she felt a male name would help her succeed. Second, she didn't want people poking into her private life and affairs. She wanted to separate herself from society's curiosity, which actually didn't work out for her. One of the major scandals in her life was her affair and "marriage" to George Lewes. She met Lewes in 1851. Lewes was actually already married, but had an "open marriage" with his wife. When he met Evans/Eliot, they decided to live together and carry on as a married couple. This was okay with his wife, but obviously caused some scandal! It wasn't necessarily an unusual concept, since many of the other Victorians we're reading had affairs as well! I think what surprised most people is that they didn't try to hide their affair, or the fact they were living together while Lewes was legally married to another woman. When Lewes died in 1878, Evans/Eliot was only alone for a short time. She met John Cross in 1880 and married him (legally). This also caused a bit of a scandal since he was 20 years younger than she was. Their marriage was short lived as she died in late 1880. Because of her lifestyle, she wasn't allowed to be buried in Westminster Abbey, but instead was buried in Highgate Cemetery. However, in 1980, a memorial was placed in Poet's Corner in her honor. 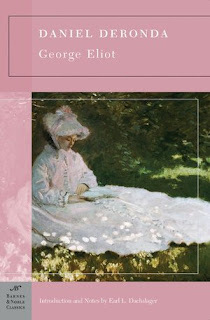 Eliot is most well-known for her depictions of rural life and society, which is one of my favorite aspects of her work. She manages to capture the true nature of her characters-their dreams, desires, and intricacies. I also love that she focuses on those individuals who fall outside the "norm" of society. And while her books can be lengthy, I think they are fast reads! This giveaway will be open to anyone who lives in the United States (My international participants-there is a giveaway just for YOU RIGHT HERE)! To enter, comment on this post with you intent to be entered. The giveaway will be open until 11:59 PM on Wednesday, June 20, 2012 EST. Good luck! And tell me what Eliot novels you've read or loved! Be advised that I don't intentionally spoil, but if you have plans to read the book, it might be better to skim! I am fascinated by Lightsong. While I was wary of him to begin with, I feel like we are really getting to know the real man behind the god stature. He's a funny guy, and while he seems to enjoy being irritating and a bit of a laughing-stock, I think there is a lot more to him. I enjoy his little quests into determining who he once was. The priests say that he has to have done something to earn the right to Return, so wouldn't it be logical for someone, like a detective, to be offered that opportunity? Honestly, I think it would be too easy for Lightsong to have had that kind of a role in his past-don't those kinds of individuals do wonderful things as parts of their jobs? Anyway, I'm curious to see what else he thinks he remembers about who he was. I also want to know why the priests won't tell the Returned who they were when they were alive. I think that's key to getting a little more information about their supposed divinity. I think Vivenna is finally learning a little tolerance towards the people around her. She grew up in a society where one way of thinking was pushed as correct and everything else was wrong. As she spends more time in T'Telir, she is realizing that her own way of thinking is narrow, condescending, and close-minded. I think the system of divinity and religion in the novel is an interesting one. I mean, how often do gods themselves question their own right to be worshiped? For Lightsong, who doesn't remember his past before he was Returned, he can't put the pieces together as to why anyone would worship him. He sees himself as a lazy, irritating fellow and sees no divinity within himself. He does his job as a god because it is expected, not because he believes in it. As for the God King, he also knows nothing beyond what he has been told about himself and the Hallendren religion. He has been told he is a god, so he sees himself as a god. Since the only people around him are priests who tell him so, and servants who wait on him, what else can he really believe? I really like the perspective of these two because it also made me question whether they should be seen as gods. But what Hoid and Jewels confirm is that the people believe. The fact is, these people Returned for apparently no reason. They were given a second chance after proving themselves at the end of their first life. That opportunity makes them higher than the people around them. In some way, you have to respect that these were honorable men and women before they Returned. They did something to stand out. The religion, in the context of that knowledge, has to be valid, right? But there is still something underneath all of that we haven't been told yet (regarding the God King and his heir). I'm sure we'll find out by the end. Once we were all told, we were sent back to our classrooms and the principal announced the loss over the PA. I have never heard such grief...there is something so heart-breaking about watching teenagers grieve. It got to me on so many levels...and watching them walk through the halls in silence? There is nothing as tense as a high school full of silence and sorrow. I know that the rest of the week will be difficult. Today was hard enough. My afternoon classes just looked at me in silence when I came in the room-waiting for answers I don't have. I have a headache from crying and trying to hold it in. My mom was wonderful enough to listen to me this afternoon when I needed to talk it out. And I know that the kids will talk tomorrow. Today was shock. Tomorrow the real heartache will hit. And in addition to grieving, the kids have finals starting on Wednesday. And the countless students stopping across the hall at his door, touching his name in remembrance, or reading the dozens of inspirational quotes he had by his door. Watching them just pressing their hands against those papers...it's something I will never, ever forget. I have two reading events to talk about-mainly to let you know that I'm participating, and you should too! (I know you would think that given the Victorian extravaganza I have enough going on, but I don't). First up is an event taking place this Saturday-Bloomsday. Bloomsday takes place on the 16th of June every year, and is essentially a celebration of the day in which James Joyce's Ulysses is based. 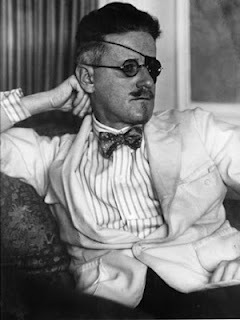 This Saturday a crazy group, including yours truly, is going to try and tackle reading Joyce's ramblings in 24 hours. But I think it should be fun, and during my one failed attempt at tackling Ulysses, I was mad that I didn't just power through. This will give me the opportunity to do so. 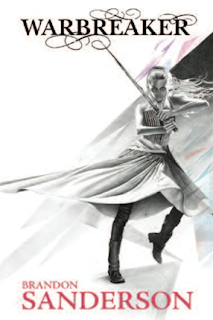 The second big event is the announcement of the group read for the second book in the Mistborn trilogy. I joined in on the read for the first book a little late, but I flew through the book in no time. I have been anxious to find out what happens next, so I can't even tell you how happy I am to have this on deck! I've been feeling a bit bad about the lack of international giveaways on my part during the event, so I am bumping one of them up to today. :) Since I live in the U.S., it is easier for me to ship books already in my possession to folks in the States, but that always leaves you international folk out of the fun! So this giveaway is JUST for you. That's right-only people who live outside the United States can enter. This giveaway will be open to anyone who resides OUTSIDE the United States. Please make sure to tell me what country you live in! To enter, comment on this post and answer the following question: Which Victorian would you choose if you won and why? The giveaway will be open until 11:59 PM on Friday, June 15, 2012 EST. 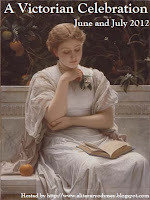 Weekly Wrap-up for June 10, 2012: Only One More Week. Well, this is it. My last week of school in my current placement. And while I am excited for summer to be here, I am apprehensive about what this summer will bring. Each summer marks the beginning of a new hiring season. It is still super competitive and all summer I will have that gnawing feeling in the back of my mind-"Will I get a permanent job this year?" I don't have an answer to that question, but I hope that I have a positive answer by the end of the summer. And a very big part of me is sad to be sending my students on to someone else. Because even though I am just a long-term sub, I care about those kids. I hope they'll do well in the future, and do the great things I know they are capable of doing. In other news, the Victorian event is going along swimmingly. There has been such a great response to it, much like the Shakespeare event in January, that I am already thinking of a new event for the late fall (I'm thinking turn of the 20th century-authors like James, Wharton, Faulkner, Woolf), but we'll have to see. Planning these and keeping up with them is a lot of work. But I enjoy the community aspect so much. I love sharing pieces of what I love with those who want to know. In many ways, I see this blog as another form of teaching. But that best part of teaching-the discussion, the community, and the sharing of knowledge. Well, I have to head in to the park for a few hours. If you're a participant in the Victorian event, enter to win the copy of Far from the Madding Crowd by Thomas Hardy!